What’s just as hot as BUKU Music + Art Project? The after-parties! 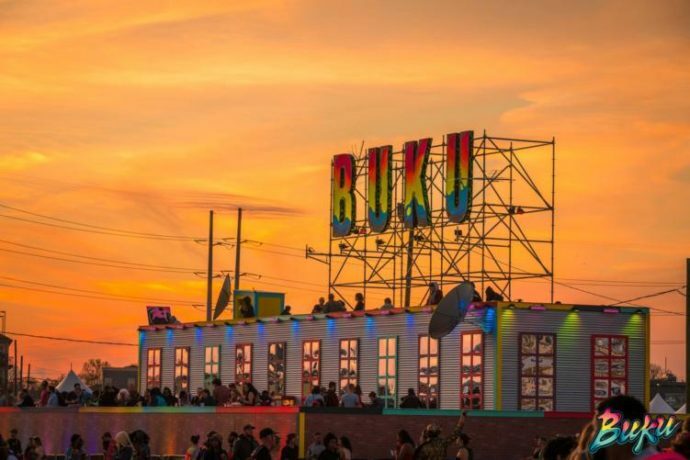 BUKU‘s after parties go late into the night after the festival ends. And with so many venues around the city, there’s something for every musical lover of every genre! Kicking things off for the first round of after parties is for the electronic music lovers. On Friday after the festival is BUKU x GUD VIBRATIONS at the Joy Theater. This includes a b2b set from not only NGHTMRE and Slander, but Ekali and Medasin as well! Good to note that Medasin is not playing the festival, only this after party. View the night’s lineup below. On Saturday, March 23, is a BUKU x WAKAAN takeover. Talk about a dream for all the weird bass lovers! This event, also at the Joy Theater, features Liquid Stranger b2b LUZCID, Esseks, LSDream, EAZYBAKED b2b sfam, and more. View the whole lineup below. Tickets for both go on sale this Friday, February 1, at 10am CT.